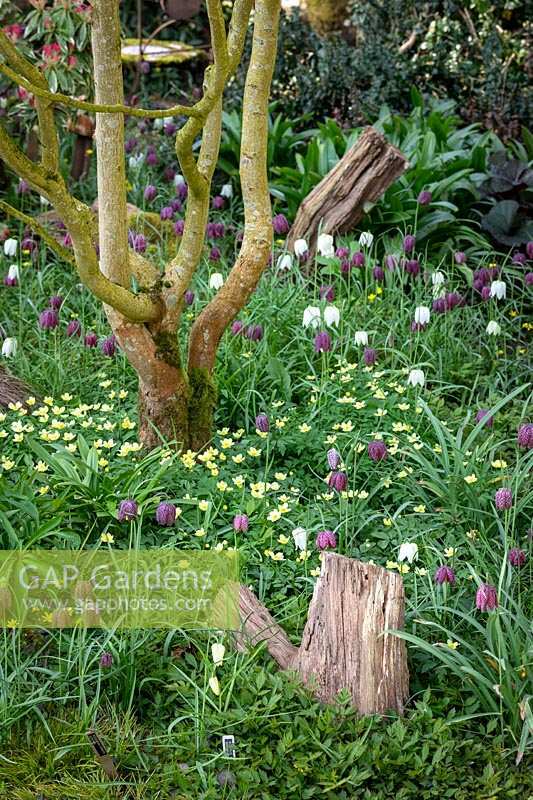 Fritillaria meleagris - snakeshead fritillaries - with Anemone x lipsiensis syn. Anemone nemorosa x ranunculoides , Anemone seemanii in the woodland area in John Massey's garden. Image 1306926 has been added to your cart.